It’s Friday night, you’re at your friend’s house sitting back, having a beer with a side of nuts, and after a few good laughs and stories, you excuse yourself so you can use the restroom. If you’re like me, you check out everything. No, I’m not talking about snooping inside the cabinets, or if your hair do is holding up. I’m talking more about the decor. 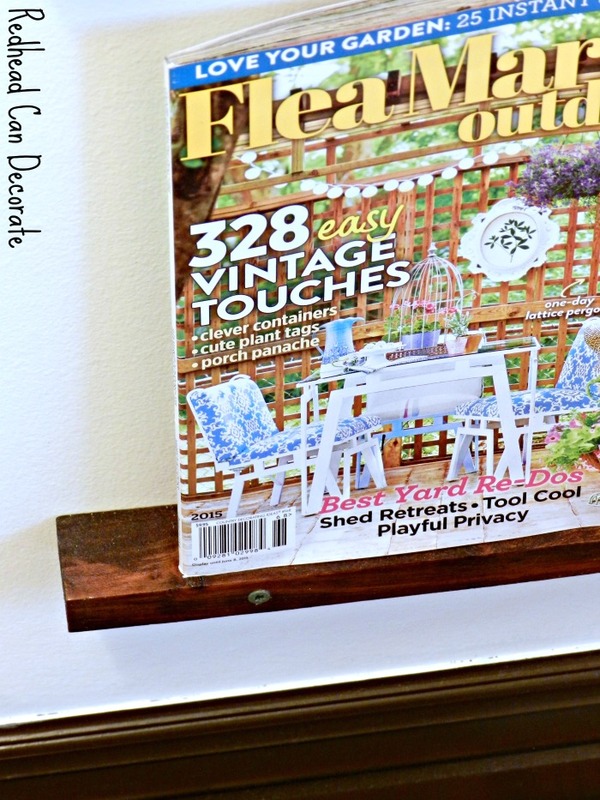 Then, you sit down, and look up at her new “DIY Magazine Rack”! Well, you are right. It is cool, and it is EASY. All this took was some spare wood, stain/poly, and screws. I found the spare wood when we received our DIY Fire Pit Kit. It was used as part of the shipping material. We almost threw it all in the fire, but I liked how they were symmetrical, and they also had pretty wood grain. 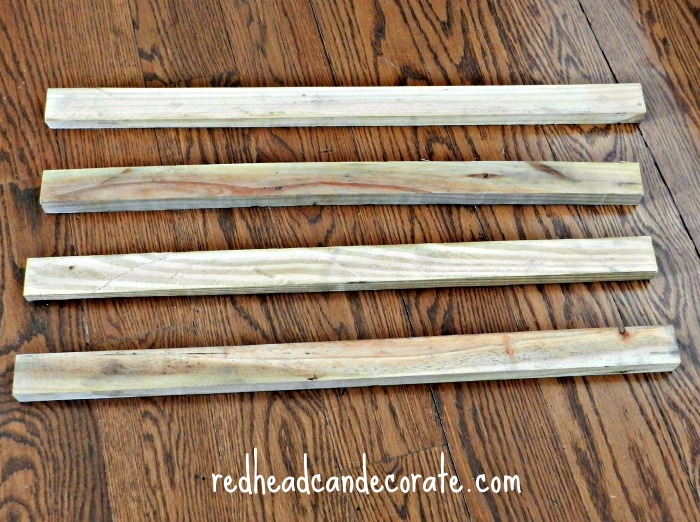 A few months later I sanded them a tiny bit, then stained them with mahogany stain. I also polyurethaned them with gloss to give them a finished look. 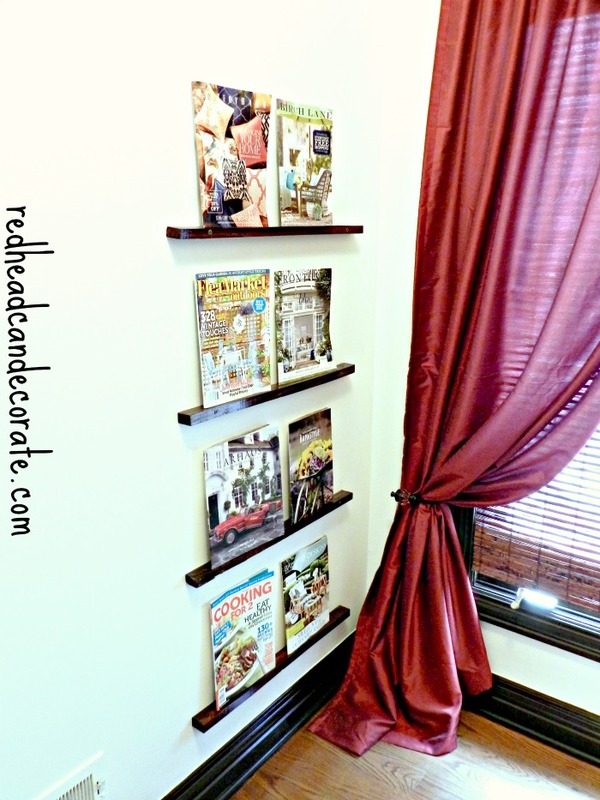 Lastly, my husband screwed them into the wall with some long screws with molly’s. 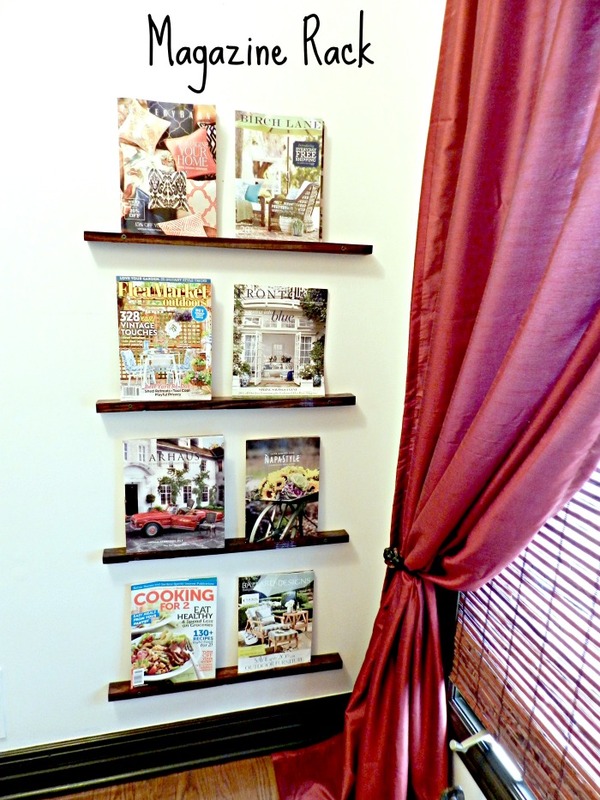 I love how convenient it is to display all of my favorite magazines, and sometimes books on my new rack. It doesn’t take up any space, and it looks pretty too. Especially that second one down on the left. 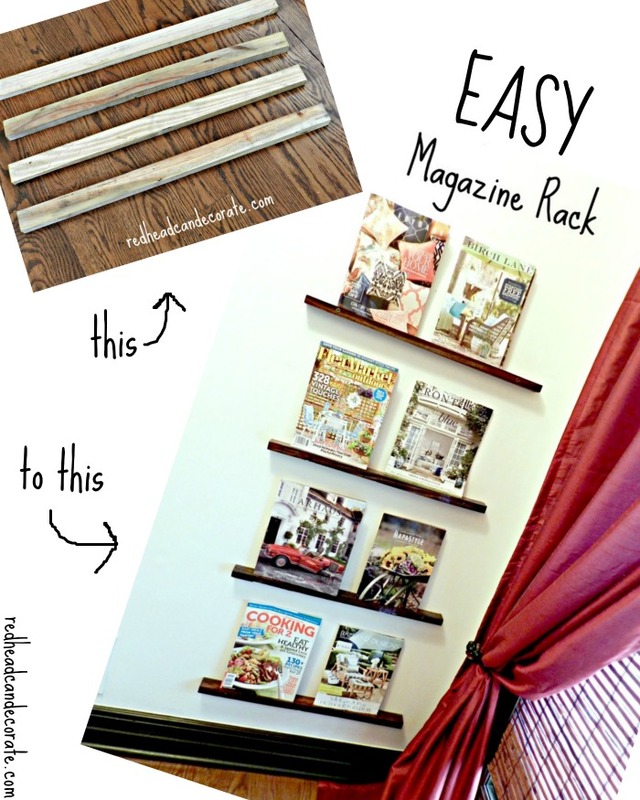 Now, go finish your beer and tell your friend how much you liked her “DIY Magazine Rack”. 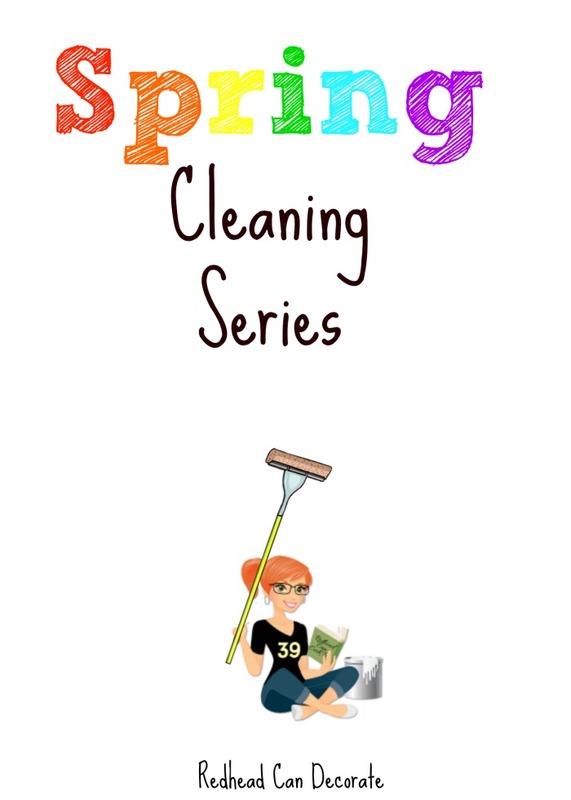 This post was round #3 of our “Spring Cleaning Series”. 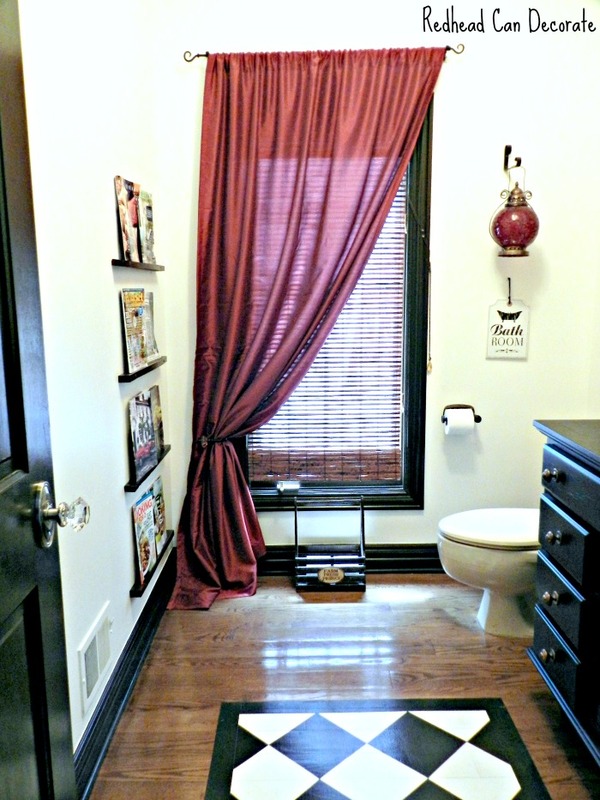 First , I love your bathroom, second how nifty is that !! I love all your creative ideas…can I come live at your gorgeous house hahaha! Have a great weekend, Julie!